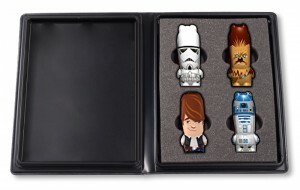 I saw this series of Star Wars MIMOBOT designer flash drives by Mimoco and just had to show you. 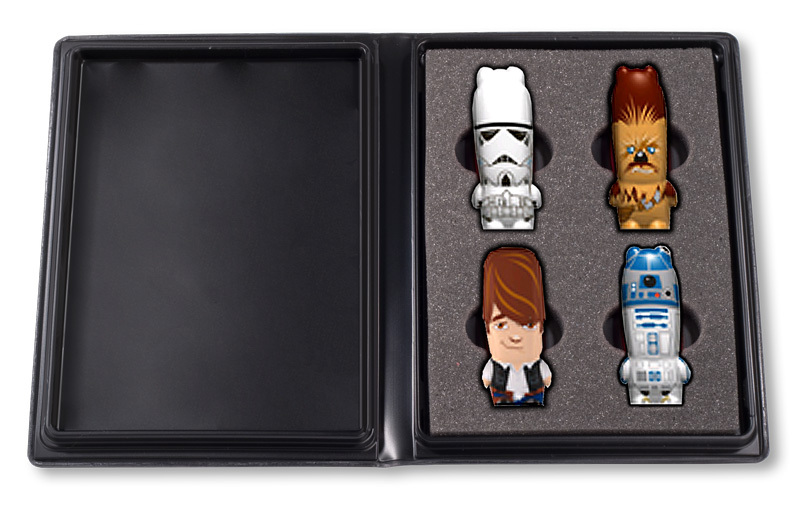 They make a variety of different character-based designer USB flash drives, such as series of Star Wars, Halo, Domo, and Happy Tree Friends. The Star Wars series is a popular one and features various characters from the movie. This set is perfect for every Star Wars fan. And these aren’t just empty USB flash drives that have cute designs. They are also programmed with exclusive digital content, such as wallpapers, screensavers, icons, and avatars. Not only that, but they also play sounds from the Star Wars movie when the drive is inserted or ejected from the computer. 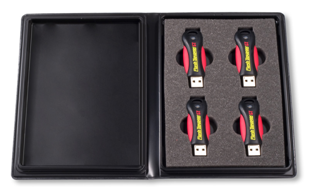 They offer these USB flash drives in 1GB, 2GB, 4GB, and 8GB capacities. If you collect these or any other series, be sure to store them in a durable case that can hold multiple drives. Then they can be protected, kept together, and have their value displayed for all to see. You could even make your own cover artwork for a case with a clear overlay. Most importantly, if you are collecting a valuable series like this, you want to keep the drives together and protect them from any damage.